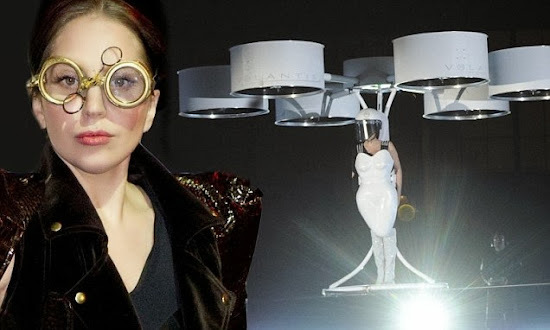 Featuring an uber-modern white curvy body mold made of fiber optics, the battery operated high-couture hover vehicle flies through the air through the use of six booms in a hex formation. These provide power to two carbon fibre propeller blades able to lift the wearer above the grounds. Lift is created by combined thrust force from pusher and puller propellers in all six booms.